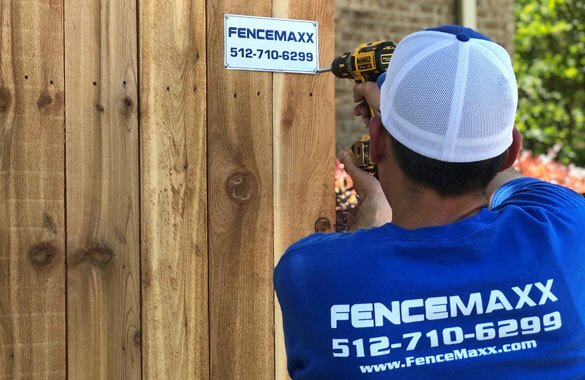 FenceMaxx is committed to providing residents in the North Austin area with expert fence installation and repair services. From beautiful wooden privacy fences to durable, practical chain link fencing, we are the area's best choice for fence solutions. FenceMaxx uses the highest quality fencing materials from the industries most trusted brands. Our team of knowledgeable professionals will work with you to determine the best product to suit your needs. We offer you our best price the first time - no haggling and no hassle! Our streamlined process ensures your satisfaction. In fact, we guarantee it. Let us share our years of craftsmanship and experience with you to design and build the perfect fence to complement your outdoor living space. With one of the industry's most comprehensive screening processes, HomeAdvisor gives you the peace of mind that comes from knowing you hired a pro you can trust. FenceMaxx is proud to be a top-rated professional on HomeAdvisor.